We find the City Harvest Church scandal perplexing. Why are Singaporean authorities allowing Kong Hee to leave Singapore to resume ‘pastoral’ duties? This article will be examining how both Kong Hee and his Advisory Pastor Phil Pringle have been using churches outside Singapore to financially support Kong Hee’s legal battles. 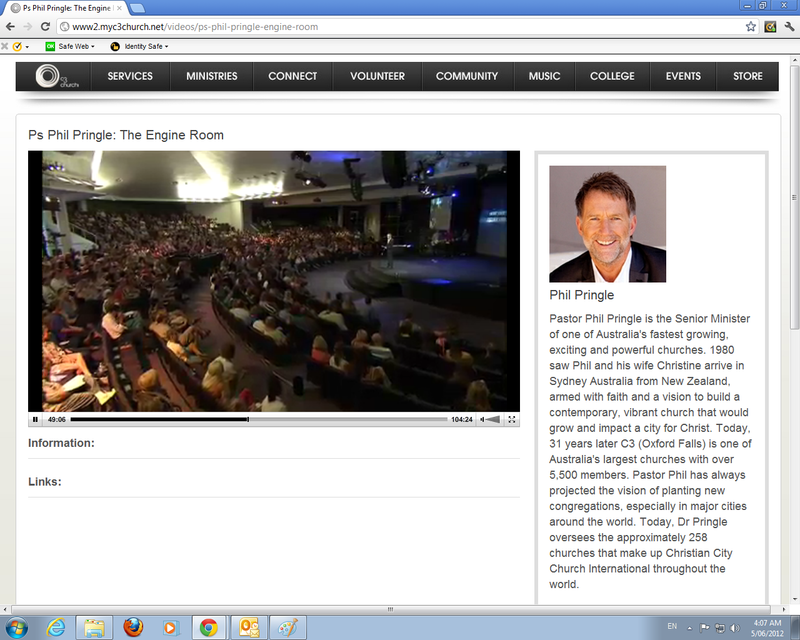 We have been analysing Phil Pringle’s Presence Conferences and what Phil Pringle has been teaching us about Kong Hee’s circumstances. 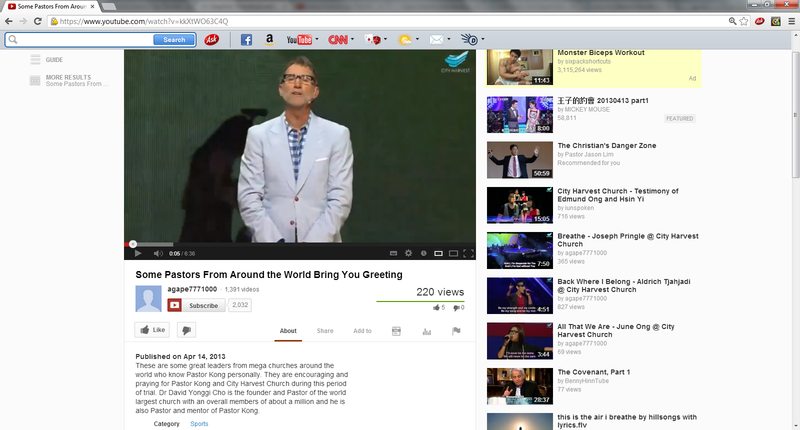 Why is Kong Hee leaving CHC to “share in churches their burden”? Why does he go to other churches to “keep support happening”? Why is Kong Hee heavily involved with Phil Pringle’s Presence Conferences? The answer is very simple. “Then, I think it was even more for him. I can’t remember the figures. But I know that for- they had to raise seven million dollars for members of staff and others to travel. That’s just that area. If you’ve ever been to Singapore, you know how expensive this place is. To fight the case he has had to employ a legal firm. And I know what the bills are. They are nearly a million dollars each time they come. Between half a million and a million dollars each time those bills come. His church is not allowed to pay one cent of his personal cost that he is incurring in this battle. He has to find it himself. He’s sold his house. He has scratched together everything he can. One of the things that I’m doing is going there. I’ve made a commitment to be there once every two weeks. Normally it ends up being once every three weeks because of a variety of commitments that I’ve already got and doing things. But when I’m gone, he’s able to travel. 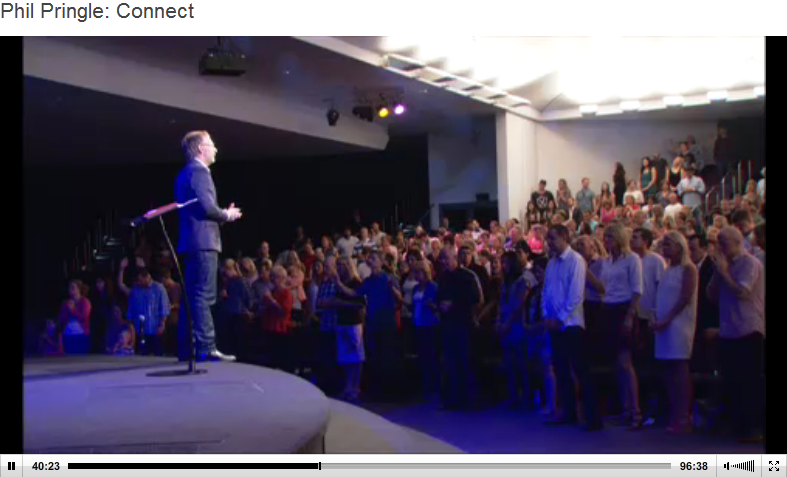 And when I’m there, he’s able to travel and preach and find support amongst Asia and other churches. Uh- I know that he was finding it hard to put some money together to get a cup of Starbucks at one stage. And uh- it’s a challenge. There’s been new legislation passed on the use of commercial spaces in Singapore since this case has come. So the religio- the restriction on his church is severe, ah, in that area [inaudible] after their purchase, go into co-ownership with ah, SunTec. And we’re in there. I will be speaking there in a couple days time. 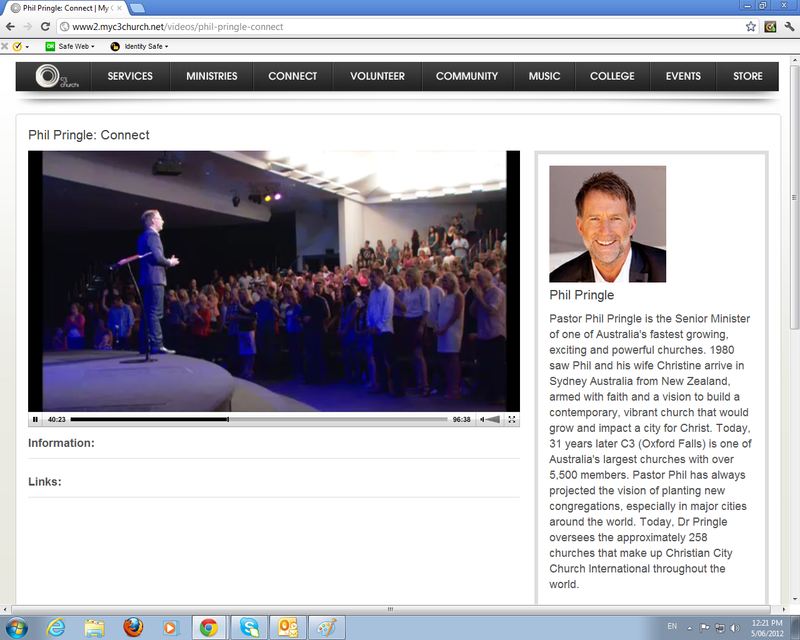 I will be on Friday to speak there happily.” – Phil Pringle, http://www.youtube.com/watch?&v=uwNignarJCg, Presence Conference 2011. Does it make sense now? 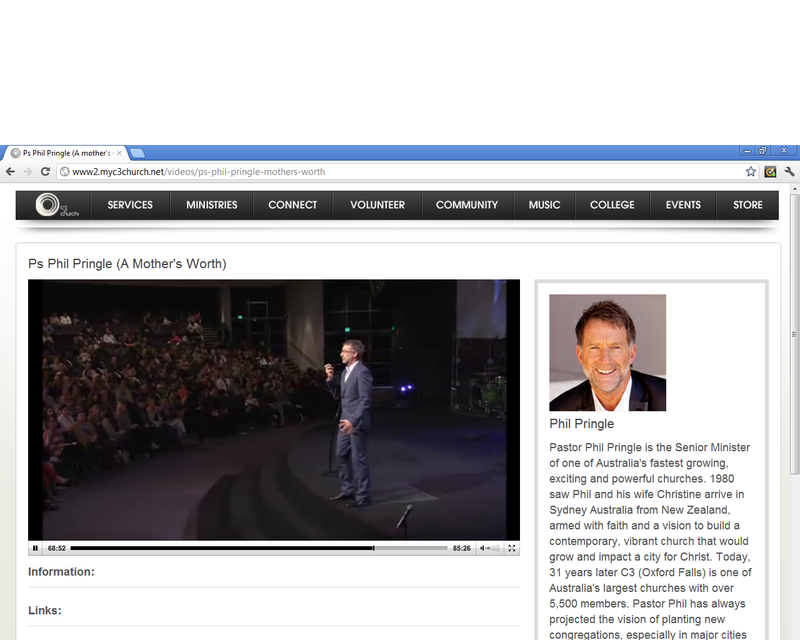 If new Singaporean legislation has established that City Harvest Church cannot support Kong Hee’s legal battles, it explains why Phil Pringle is speaking in Singapore so often. It allows Kong Hee to gain financial support from different churches around the world. It explains why Kong Hee is invited back to speak at Phil Pringle’s Presence Conference. And guess what? Kong can say whatever he wants to whoever he wants… and get away with it. How would Singapore know what his agenda is in other countries? Who would bother keeping him accountable to what he says around the world? “Father I just pray even right now from the front to the back, from the left to the right, that tonight you move in a great way. Lord you know that it’s been a tiring time for the last twenty three months. For every step of the way, you’ve been with me, you’ve been with us. And Lord for all that C3 has poured into City Harvest Church, I pray that you multiply back to them, every church –every leader, thirty fold, sixty fold, a hundred fold for your glory we pray. 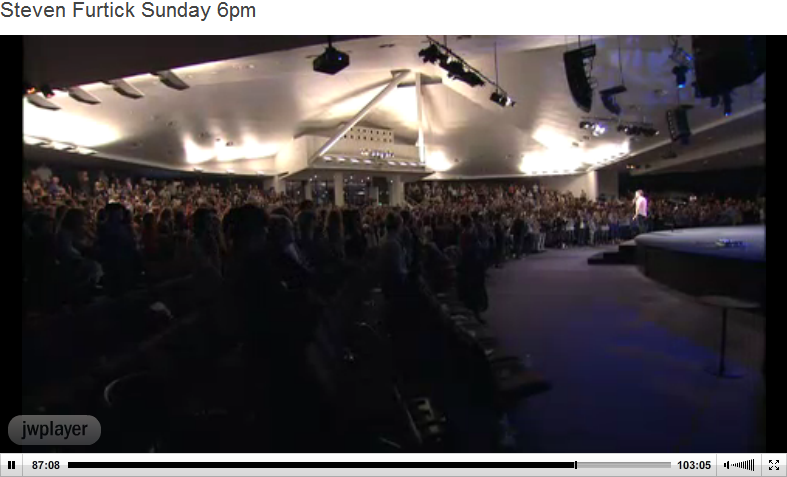 Amen.” – Kong Hee, Presence Conference 2012, http://www.youtube.com/watch?v=zeIYljvQ0G0: 18:11, Day 1. 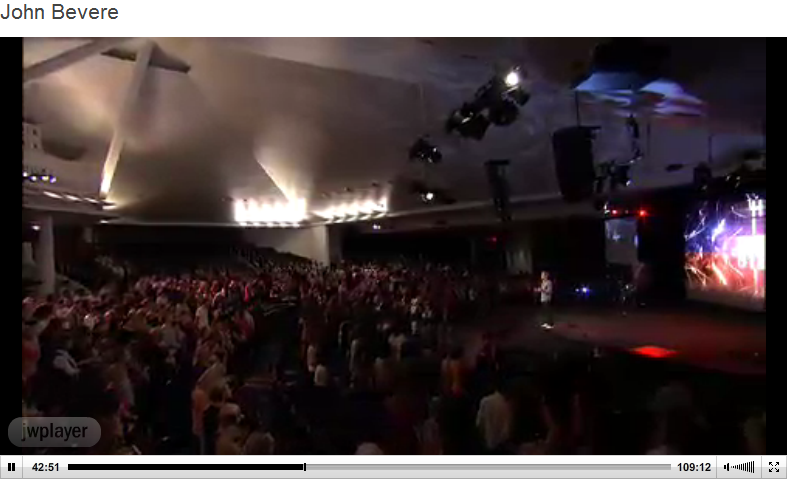 In this prayer, Kong Hee acknowledges that “C3 has poured into City Harvest Church”. By ‘poured’ he means ‘financially poured’. If you are not familiar with the term “thirty fold, sixty fold, a hundred fold”, it is Word of Faith jargon that means financial multiplication. 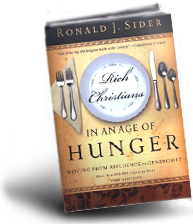 The idea is that if you give financially, god will multiply your returns supernaturally. The weird thing about this prayer is that Kong Hee said C3 poured money into City Harvest Church. 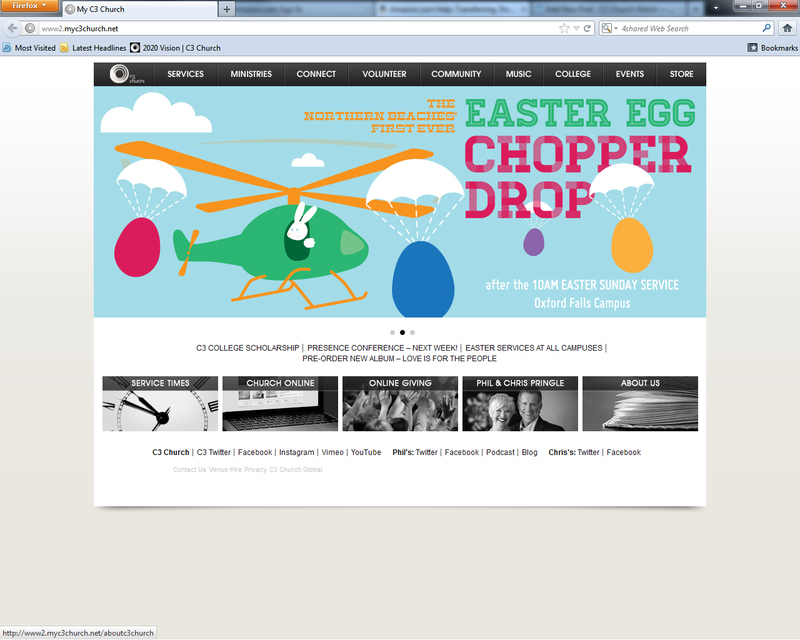 Why does CHC need the cash? Doesn’t Kong need the cash? While it is debatable if the money above went to CHC or to Kong Hee, the prayer above informs us that Kong Hee IS getting money out of C3 conferences for possibly his benefit. It could be debatable that the money above went to CHC or to himself. 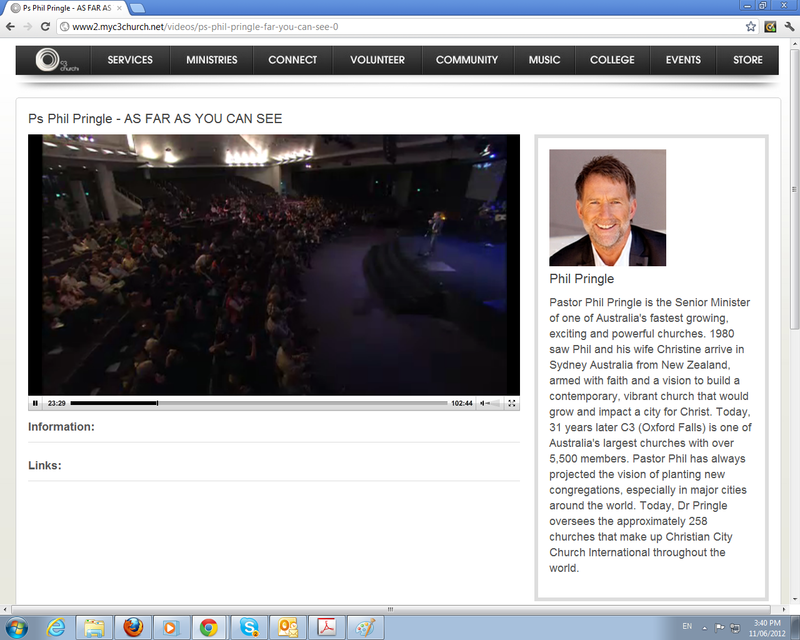 Because Phil Pringle asked people to give money specifically to Kong Hee’s legal battles back in 2011, it is of our opinion that Kong Hee here in 2012 was acknowledging that he received this financial support, using his church as a safeguard rather than saying he received the financial support personally. Furthermore, in this same sermon we also hear a very one-sided and propaganda-like presentation of Kong Hee’s situation. So we are seeing what Pringle has said about Kong Hee to be true. Phil Pringle’s Presence Conference was a place Kong Hee felt safe enough to “share… their burden ‘n what they’re facing and keep support happening”. “And [God the Father] said, ‘My son, I’m so sorry that you need to go through this alone. But you need to die and you need to go through this to be the Saviour of the world!’ And God the Father had broken and He wept as He turned His face, when His son took the sin of the whole world. I was saying all this and I’m hearing myself behind the pulpit- and I froze. I could not utter another word. And I sobbed and I shook. Because those were my exact sentiments. And for the first time in eight months, I heard the voice. It is not the voice of a strict angry judge that only want me to perform and build a big church and nothing I do is ever good enough for him. No. It’s not a voice of angry judge. It’s not the voice of a slave driver. That just wants to take and take and wring me dry. But it was a voice of a tender, loving, broken-hearted Father. For the first time in eight months, God – I heard Him crying. And He said, “My son, Kong, thank you! Thank you for going through this. I need you to go through this alone so that you and City Harvest Church can be the man and the ministry I call it to be. I’m so sorry. But you need to go through with this by yourself, to bring a change to your generation”. Oh come on! Give the Lord a big hand tonight! I hear God saying for the first time in eight months, “I love you! I love you! I love you!” Waves upon waves of God’s love- the love of the Father, just, saturated me. All I could say was, “Abba! Abba!! AABBAAAA!!! Daddy! ABBA!! !” And I knew, everything was going to be, alright. 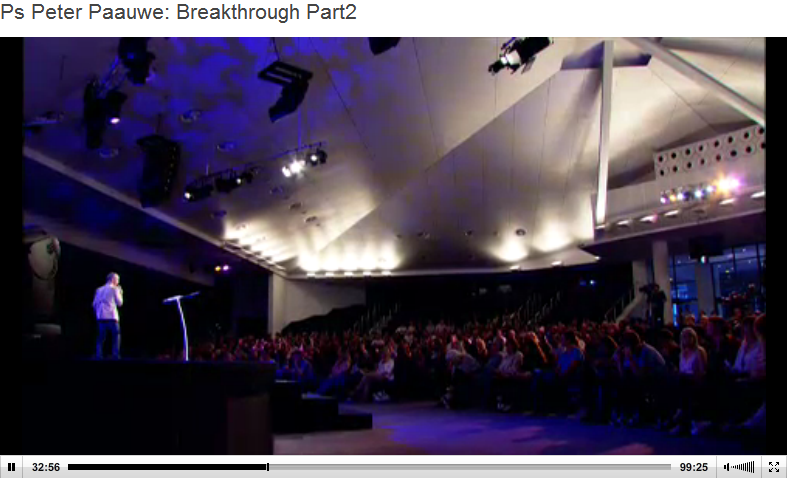 Everything was going to be alright.” – Kong Hee, http://www.youtube.com/watch?&v=FKVSXfjhB14, Presence Conference 2012, Night Service, 11/04/2012. The absolute negligence of Pringle inviting Kong Hee to speak at Presence Conference from 2010 to 2012 was scandalous. He gave Kong Hee the floor to present his propaganda-like stories diguised as sermons. Furthermore, Kong encouraged people in the 2012 Presence Conference to empty their bank accounts so God can financially bless Christians. Not once did Phil Pringle or Kong Hee give an accurate account as to why he was under investigations or why he was facing charges. Why Kong Hee and Phil Pringle are not under severe scrutiny by government watchdogs in Australia, we do not know. Why are they not being scrutinised for misleading thousands of people at these events? Would they be giving Kong Hee financial support or emptying their bank accounts at Kong Hee’s command if they knew the severity of the investigations? 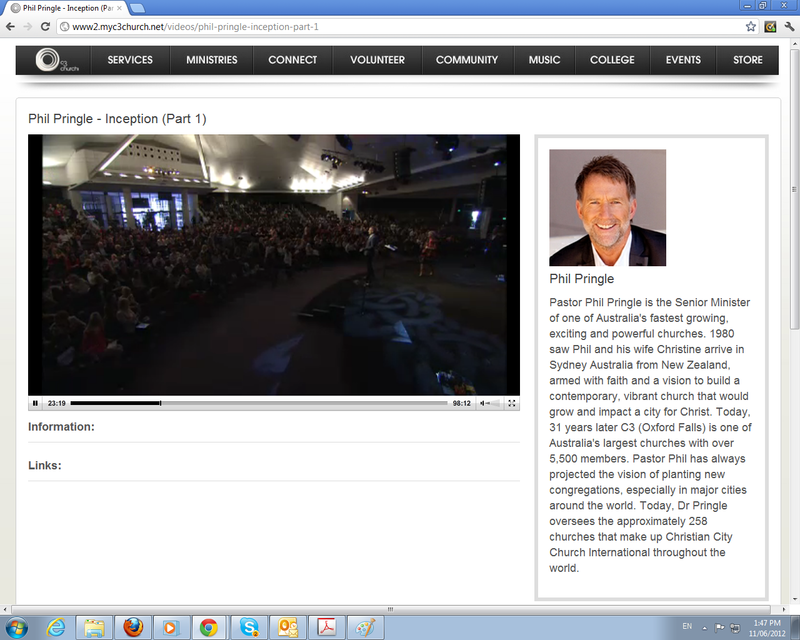 The negligence continued when Phil Pringle allowed Kong Hee to speak at Presence Conference 2013. Recently Pringle asked ignorant Christians attending to once again give sacrificially to financially support Kong Hee’s legal case. “I would like you just to take a card, an envelope if you’ve got one nearby. And if you’d like to participate in this, I’d like you to consider doing that. Whatever you can do it would be helpful, I know, to them. This will all go completely to Pastor Kong to help with his- costs. He has to pay this week $680,000 I think it is, for his legal fees. He’s covering his whole team’s fees. They have to mount a vigorous defense over three years. Those numbers weigh heavily on- on a person and they have prohibited him from asking his own congregation for any help. He can not use any of his own church funds. They’ve sold there- they sold the unit they were in. Others have moved to help them in other countries and I would like to think that we can be friends to these people in one of their darkest hours.” – Phil Pringle, http://www.youtube.com/watch? &v=2g-BB9BF7xk , Presence Conference 2013. The picture again presented is that new Singapore legislation will not allow Kong Hee to use “any of his own church funds”. Instead, just like what was occurring in Phil Pringle’s C3 Presence Conferences, it appears that other churches “have moved to help them [Kong Hee and Sun Ho] in other countries”. Since Phil Pringle made a video where a number of pastors decided to support Kong Hee, we are starting to see that deeper controversies are growing in this scandal and expanding across the globe. 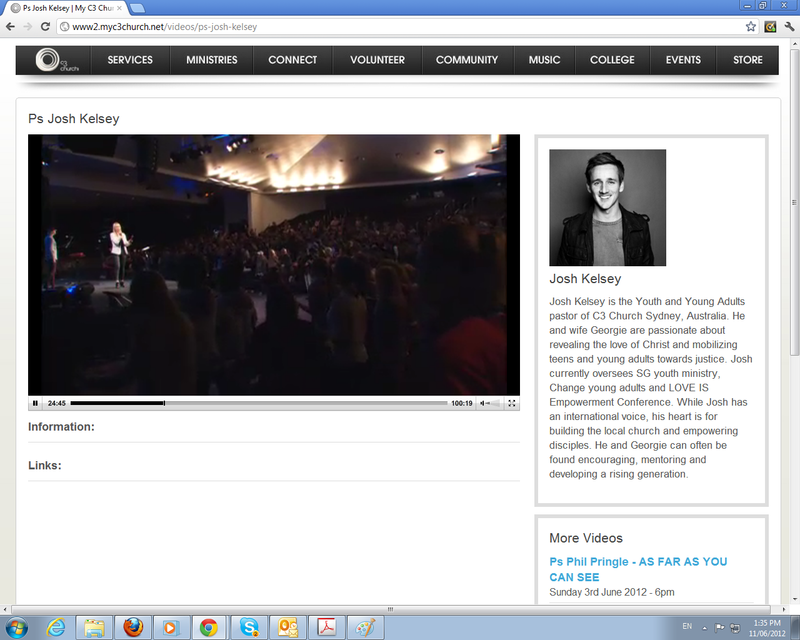 We also observed that Kong Hee spoke at Ed Young’s church in 2011. Kong also spoke recently at Ed Young’es C3 2013 Conference. Did Kong Hee get love offerings from these churches after spreading more propaganda about his plight against the Singaporean government? Why are pastors like John Bevere, Mark Conner, Casey Treat, David Yonggi Cho and many more supporting an alleged crook? Are these the churches that Pringle was alluding to when he said that “Others have moved to help them in other countries”? Men like John Bevere, Yonggi Cho, Casey Treat and Ed Young have already been exposed as false Christian teachers. Is it any wonder they would support someone like Kong Hee? Are we seeing a banding of false teachers being only accountable to their pack rather than the greater body of Christ? This scandal needs to be addressed by the universal body of Christ. How far must men like Phil Pringle and Kong Hee go before the church starts dealing with these impostors in the church? 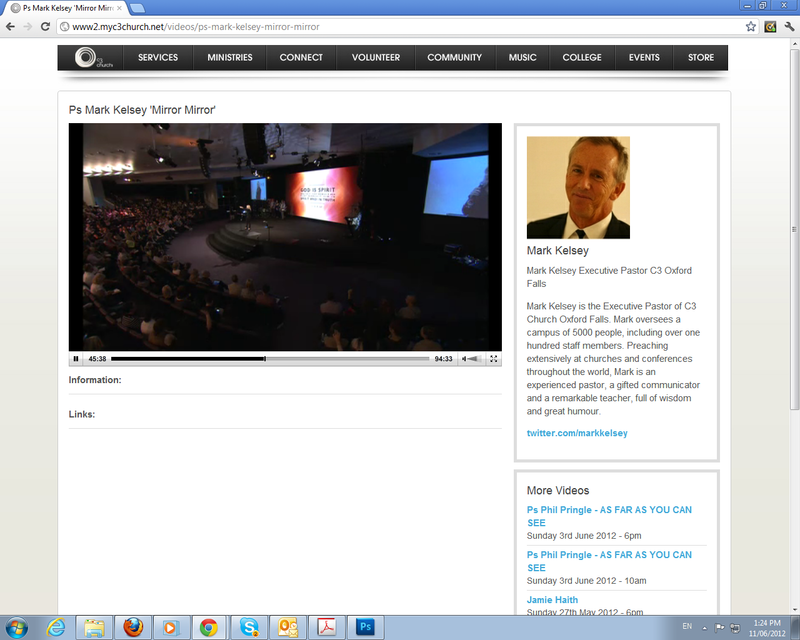 Update 08/08/2013: Provided links and sources to Ed Young’s 2011 Conference. NOTE: ALL SCREEN GRABS TAKEN ON 08/08/2013. “Do you know a transaction takes place the moment you receive spiritual life, one half of it comes into you, one half of the transaction is that truth coming into you, and to activate that truth, I have no doubt about this, that we actually have got to return the same kind of honour, the same kind of impact its had back on us, back to that servant of God. Paul says if I have ministered to you spiritual things its a small matter that you would minister to me in in natural things carnal things like money, he says its a comparison though, the comparison is is is very hard to make he says between a spiritual quality and a natural thing, but he says the reason that that transaction has to happen is for it to trigger the impact of grace in your life, to trigger the impact of this message in your life, ’cause we can hear it and go away with information, or else we can go out of this place with a revelation that’s deep in our spirit, and one of the ways we make that happen is by blessing the vessel that its come to us through.” – Phil Pringle, C3 Oxford Falls, (1:05), 08/04/2012. I am tempted to imitate Martyn Lloyd-Jones at this point and reply with the word “rubbish!” *I am quite certain that is what he would have said reading this. What we have here is an example of a false conclusion, or rather a text dragged in and misapplied to give apparent support to that which is unsupported. The ‘transaction’ Pringle is teaching is no-where found in the Scriptures, it is an invention of man. It is not even based on an actual Bible text, but a mis-quotation of Romans 15:27, which is in fact talking about helping poor Christians in Jerusalem. These poor Christians belonged to the Jewish Church which first sent out the Gospel to the Gentiles, and therefore made those Gentiles “partakers of their spiritual things”. Now that those Christians were suffering poverty and need, it was only right that the Gentiles should “minister to them in material things.” The text is not even saying what Pringle says it does! Now, in 1 Corinthians 9:11 (which Pringle seems to have conflated with the Romans passage in his mind), Paul does say, “If we have sown spiritual things for you, is it a great thing if we reap your material things?” This is part of an extended section in which Paul is talking about is the undoubted responsibility of the Church to support the ministry of the word (in a reasonable and proportionate way; no man ever got rich by being a Baptist Pastor, as I have often said, and that is how it should be, says he who is a Baptist pastor). It is notable that there he does not talk about missed blessings, or anything in any way corresponding to the idea that we have to so give “to trigger the impact of grace.” Indeed, for Paul to say that we have to do such a thing would be utterly repugnant. Grace is God’s initiative, it not something we have to ‘trigger’ in its impact or anything else. You will look in vain for such an idea in 1 Corinthians 9, which is merely an exhortation for the Church to support the ministry of the word. 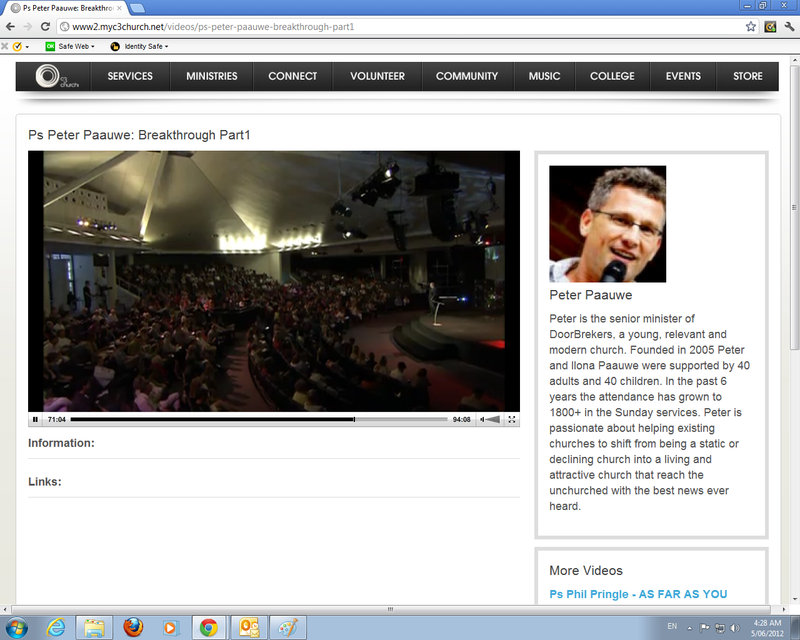 ‘Do Not Be Surprised’ has mentioned C3 Church Watch in an article on the Presence Conference 2012. Their article addresses the issues of the ministers speaking at the event like John Bevere, Kong Hee and of course Phil Pringle. This offers a vivid picture of the event and is in fact very telling of the direction in which the speakers at Presence will likely wander. 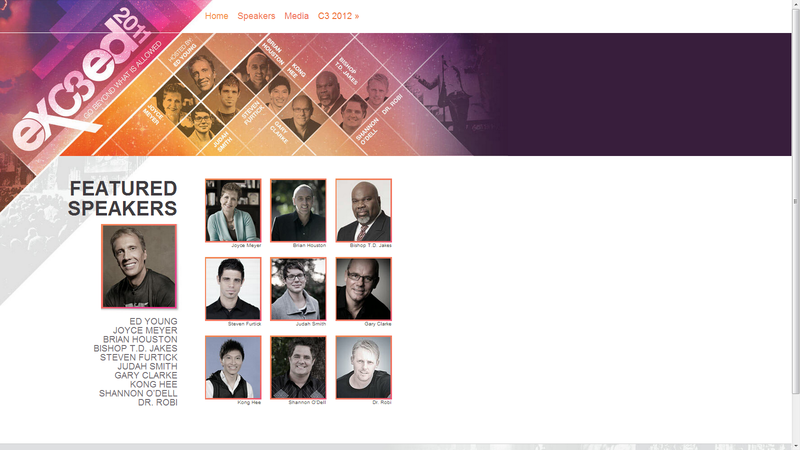 Scheduled speakers for Presence 2012 include Phil and Chris Pringle, Kong Hee, John Bevere and Steven Furtick. In understanding the doctrine that is held by the Pringles, Hee and Bevere, it may cause one to question why Steven Furtick, who has been embraced by leaders within America’s evangelical community, would choose to participate in this event. The description provided above already betrays its Word Faith intentions, and Furtick’s fellow speakers undoubtedly perpetuate these erroneous doctrines in their own ministries. “A long after that experience, I looked back and realized that many of the elements I had seem in the imaginations in my mind were a duplicate of what actually happened [sic]. I had stumbled on to a principle of God. As I investigated the Scriptures, it became obvious to me that God spoke to His servants from the beginning of time through visions and dreams. Here we’re looking at the vision of faith. As soon as a real faith for anything arrives in your heart, you will see that thing.” – Phil Pringle, Faith, 2001, pg 94-97. “Gods movies [sic]. There is a screen within our mind upon which three projectors are jostling for prime time… He [God] has a projector with a preset, wonderful destiny as the main feature. As we enter the Spirit through praise and worship, God will form His vision within our thinking. We pray the prayer of faith. The vision of the answer comes to mind and we see it, in living colour… Once the vision of the fulfillment of your dream has been planted in your mind, bring it to your prayer life. Each time you pray bring the picture to mind and meditate on it. See it happening. Destroy all the images of failure. Replace them with the image of success. 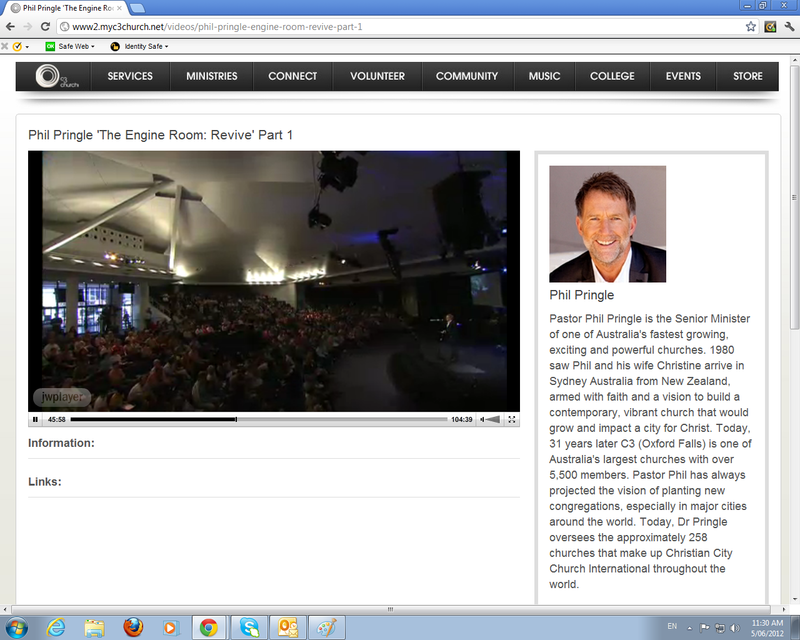 The teachings of Phil Pringle, then, are indeed some to be carefully watched. 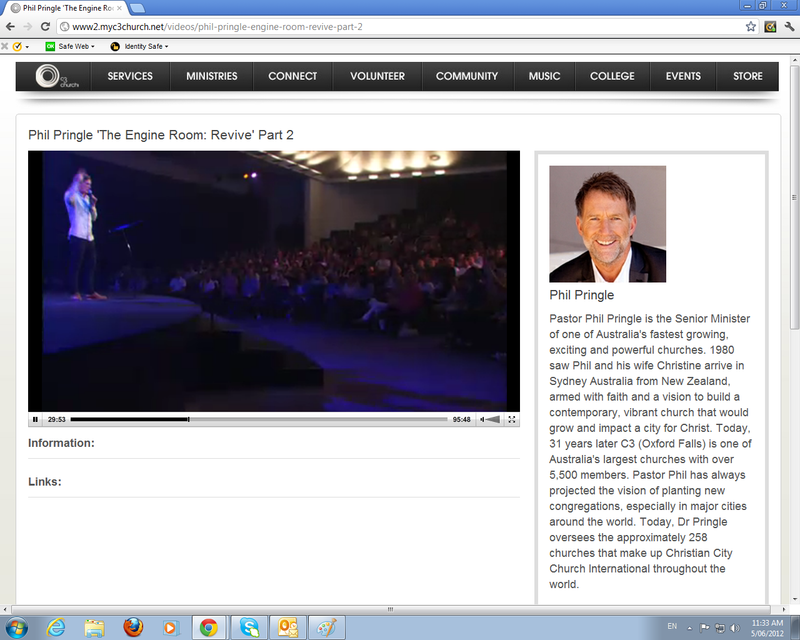 In the March 17, 2012 episode of Fighting for the Faith, Christian apologist Chris Rosebrough offers a helpful critique of a recent Phil Pringle sermon (the sermon review begins about 1 hour in). The reader is encouraged to listen and come to understand the methods being employed by Pringle in his teaching. Kong Hee is the founder and senior pastor of City Harvest Church (CHC), Singapore—a Spirit-filled Pentecostal church that was birthed in 1989. With just 20 members at its inception, the church has grown to an average weekly attendance of over 24,000 members today with 71 percent first-time converts. Through his visionary leadership, CHC has become widely known as one of the most dynamic and innovative churches in the Far East. The keys to the remarkable growth experienced by City Harvest Church are vision, faith, commitment, a desire for excellence and effective discipleship. Some interesting points to note in this “sermon” are Hee’s claims at approximately the 7:50 minute mark that, “[Jesus] would take you out to a nice restaurant! 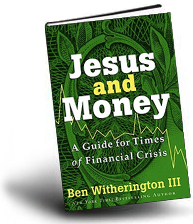 [Our Jesus] is not a cheapskate Jesus!” Or perhaps the reader would be curious to hear Hee’s rather interesting interpretation of the feeding of the 5,000 (approximately 9 minutes in). Some more notable Scripture twists in this message are: at approximately 24 minutes in, Hee perverts 2 Corinthians 8:9; and at 31 minutes and following, Hee declares, “If we worship a poor Savior, we will always be poor.” Not long after this, he says, “prosperity and wealth are our rightful inheritance,” and, “a poor Savior can’t get you out of poverty,” to which Hee adds a familiar distortion of the promise of the 30, 60 and 100-fold harvest (Matthew 13:8ff). Indeed, throughout the entirety of this sermon, Hee unapologetically, unflinchingly and unconscionably twists the holy Word of God. 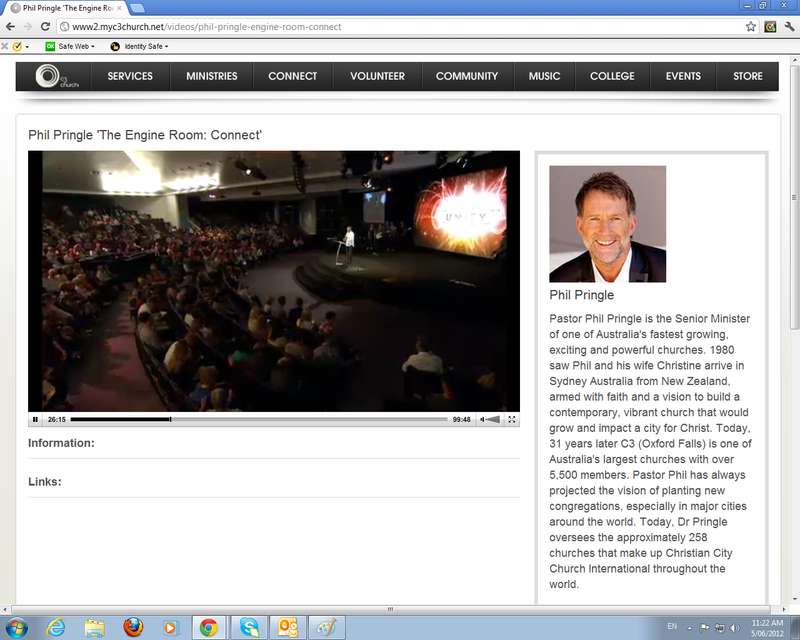 Not surprisingly, Phil Pringle has preached at and even sits on the advisory board of Kong Hee’s church in Singapore. It is clear that these two men share a similar theology, as well as corresponding goals and a shared “vision” for the church. So the question now becomes, Who is Christ? 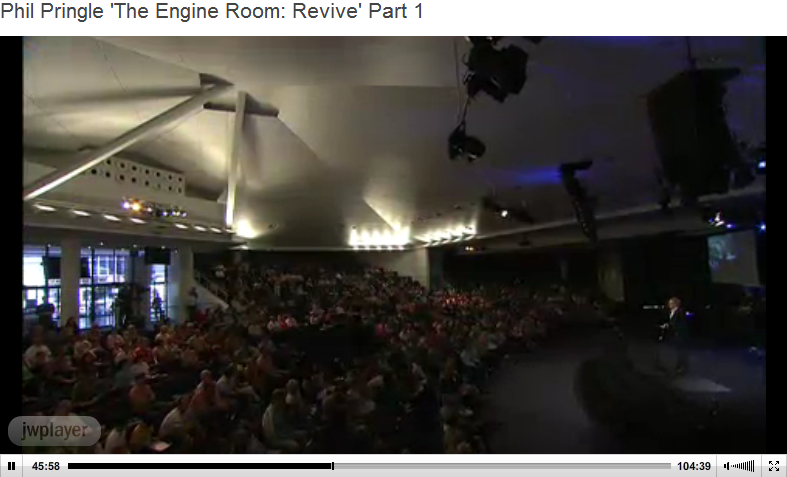 this is where an unrenewed mind once again steals from the children of God. when many think of Christ, they think of only Jesus Christ, almost as if Christ is His last name. These dear people don’t think of anyone else other than our Great King who died on the cross and was resurrected. yes, the name Christ does refer to our Lord and Savior, but let’s see what God’s Word says. Paul tells us, “Now all of you together are Christ’s body, and each one of you is a separate and necessary part of it” (1 Corinthians 12:27, NLT). We believers, together, are Christ’s body. Each of us is a vital “body part.” Jesus is the head, we are the body; it’s that simple! … When you think of yourself, do you think of your head as being separate from or different from your body? Would you call your head by one proper name and your body by a different proper name? Of course not. You are one being – one person. In the same way, Christ’s head and His body are one. Jesus is the head, and we are different parts of His body, so we are one in Christ. So when you read Christ in the New Testament, you need to see not just the One who died on the cross but also yourself. 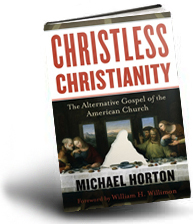 In the book, Relentless, when Bevere describes a characteristic or function of Christ, he follows it up with some form of the question, “would you say the same thing about yourself?” This gives the impression of elevating the Christian nearly to a place of deity. Indeed, it tends to remind one of the blasphemous and heretical “little gods” doctrine of the Word Faith teachers. 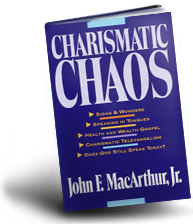 In his well-known book, Charismatic Chaos, John MacArthur exposes the erroneous “little gods” doctrine. [Kenneth] Hagin, whom most major Word Faith teachers acknowledge as a major influence in shaping their theology, has said, “If we ever wake up and realize who we are, we’ll start doing the work that we’re supposed to do. Because the church hasn’t realized yet that they are Christ. That’s who they are. They are Christ. (MacArthur, Charismatic Chaos, 334). Herein lies the great danger of Bevere’s earlier statement, that the believer actually is Christ. For if the earth is the Lord’s, and the Christian is equal with God, then the logical conclusion is that man is sovereign over the earth. 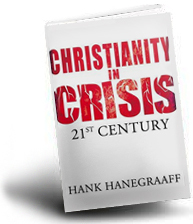 Indeed, if man is Christ, how much more authority must he possess? And thus we find one of the obvious thrusts of Relentless, that man must come to recognize, acknowledge and use the authority that has been granted him as one who is, in essence, Christ. 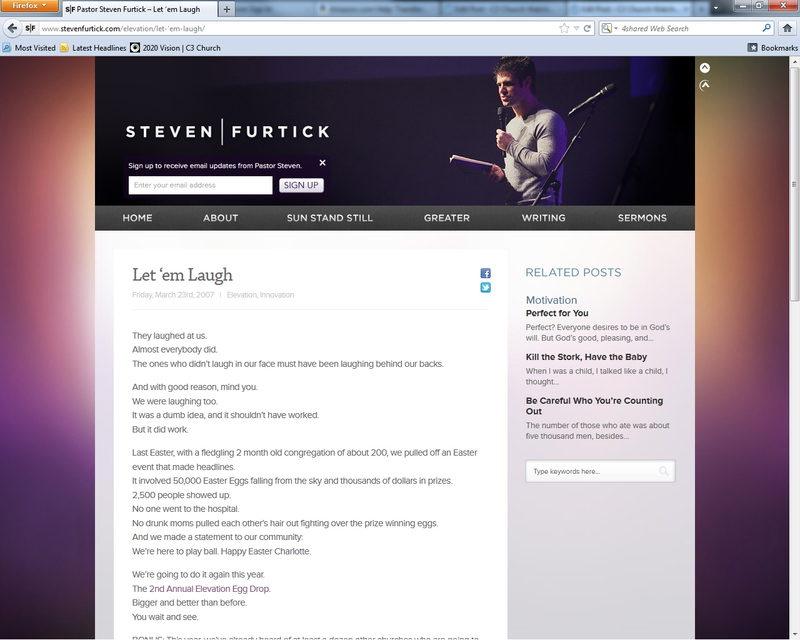 Knowing all of this, then, what ought one think of Steven Furtick’s involvement in Presence 2012? 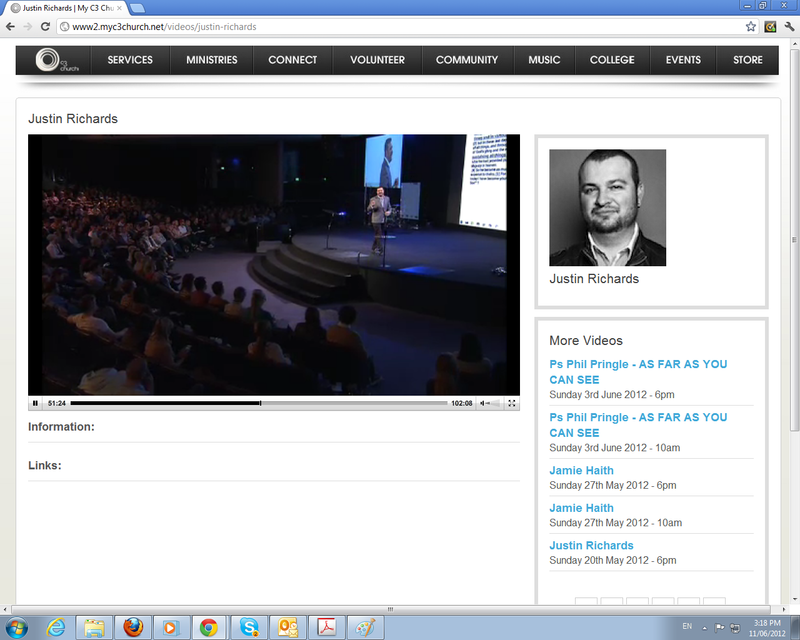 Furtick has been lovingly embraced by leaders such as James MacDonald and Mark Driscoll. Yet, he has done little to hide his desire to grow his skills and influence among the Word Faith crowd. 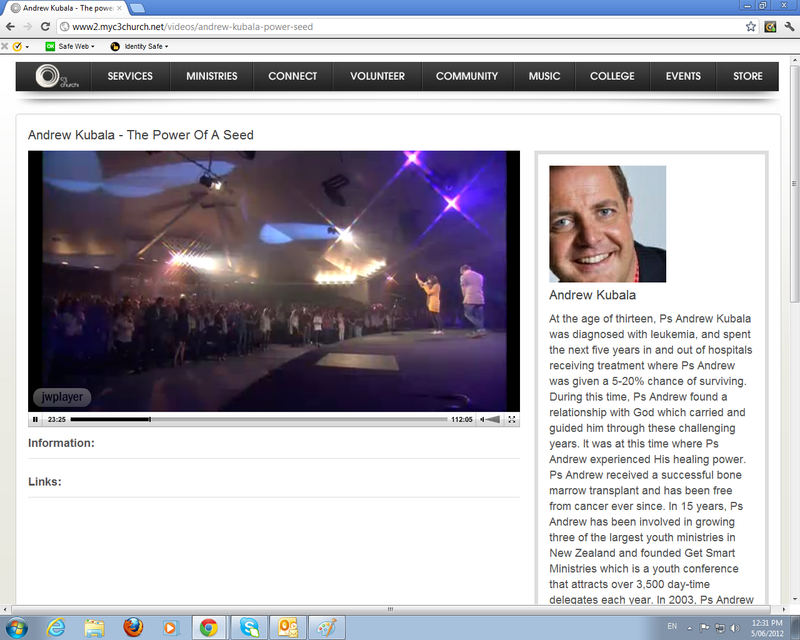 Furtick has lauded the work of infamous Word Faith teachers T.D. 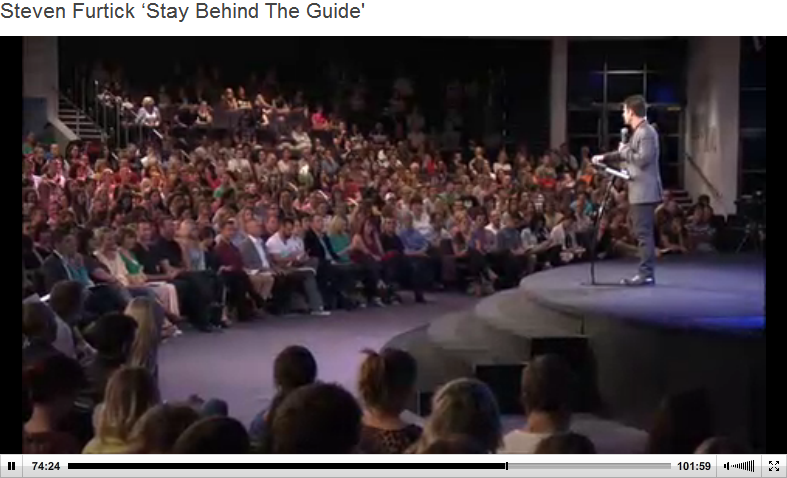 Jakes and Joyce Meyer. 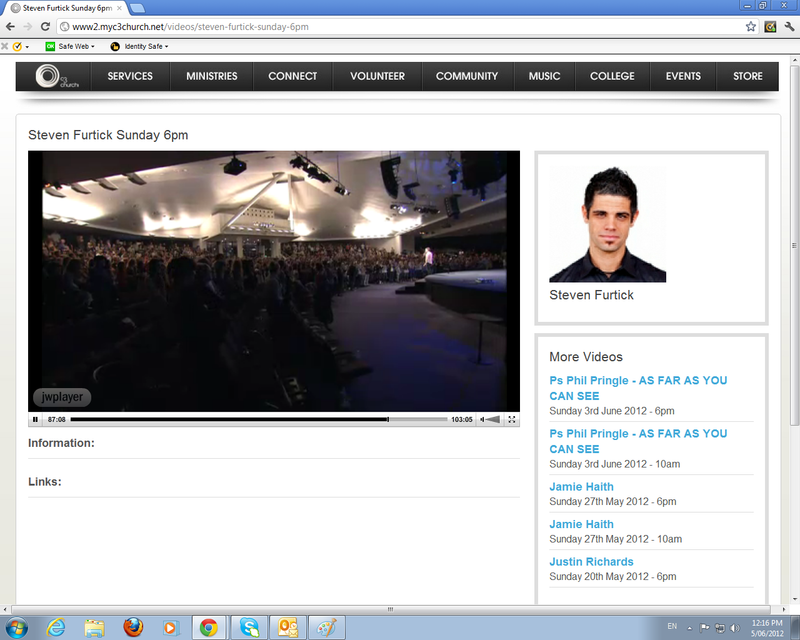 Many of Furtick’s own sermons either hint at or in some instances, blatantly promote dangerous Word Faith teachings (examples of this can be found by visiting some of the links below). 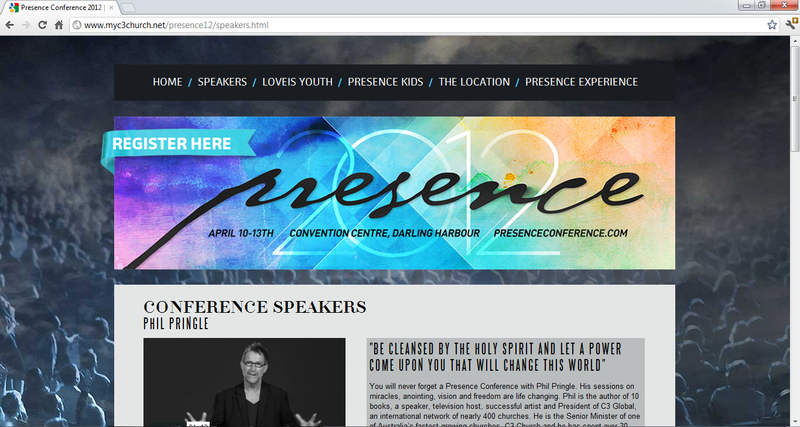 His special invitation to speak at Presence 2012, then, ought not surprise. However, it still should elicit concern. With its language of a “fresh anointing,” and “vision and miracles,” Presence 2012 appears to go beyond the familiar Word Faith teachings of “health and wealth,” and into the realm of signs, wonders and manifestations. It would most certainly be encouraging if those who who have embraced and promoted Steven Furtick as a trusted teacher of God’s Word were to express concern and apprehension over his appearance at Presence. Yet those same men have themselves embraced another, T.D. 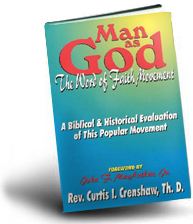 Jakes, who for years has taught the heretical doctrines of the Word Faith movement. Thus the cry for “unity” continues to come at the expense of truth, and so the silence, though deafening, does not come unexpectedly. 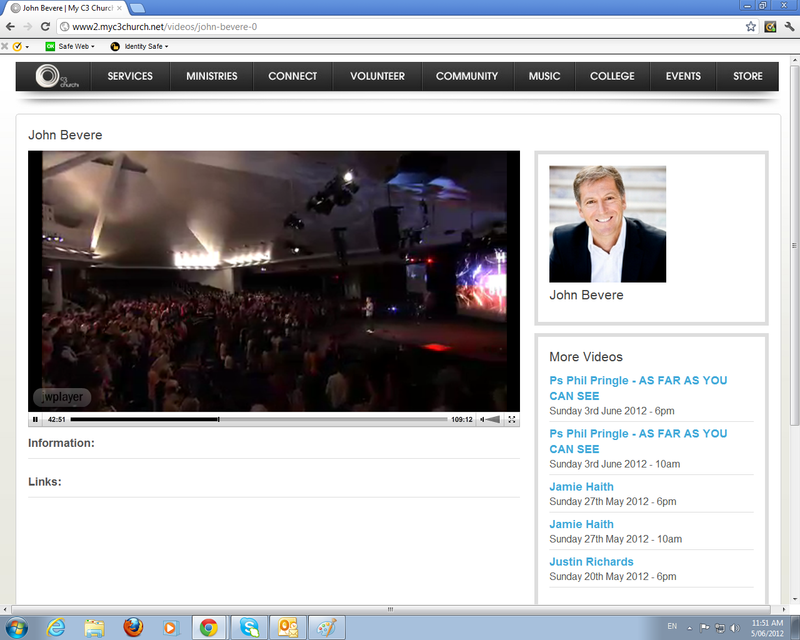 John Bevere is speaking at Phil Pringle’s 2012 Presence Conference. 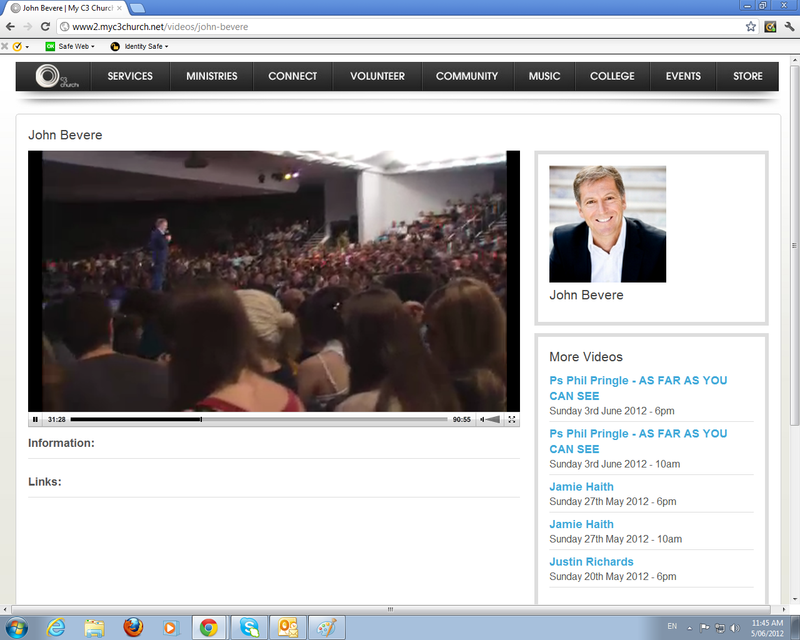 This article will look at John Bevere and a sample of his teaching. The last half of this article is an excerpt from his book, ‘Honor’s Reward: How To Attract God’s Favor And Blessing’, chapter 11, ‘Double Honour’. The first half is examining the scriptures he used in the excerpt of the above mentioned book. 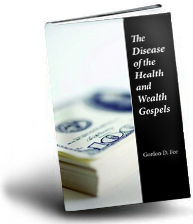 If the title of his book is not concerning enough, Bevere writes how one can earn God’s favor and blessing by giving people like himself honor, luxury and money. He mishandled every passage in this excerpt. He reads his ‘honor principle’ into every scripture, mangling the word of God in the process. 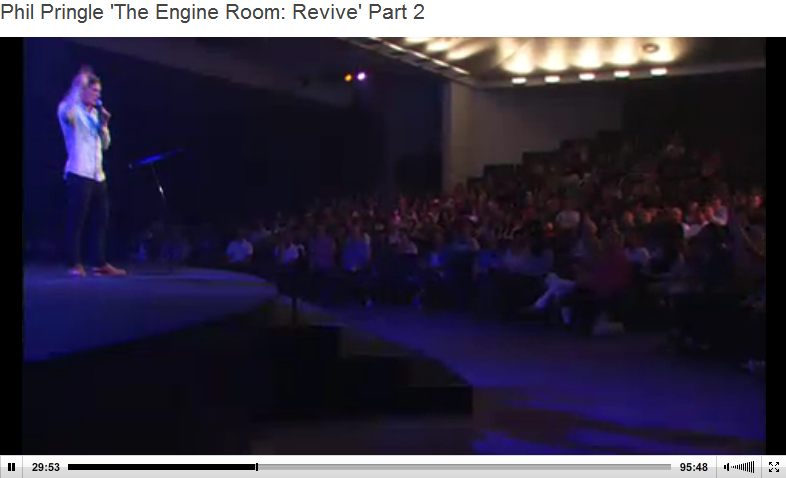 Bevere uses Matt 10:40 to imply that if you receive John Bevere you are receiving Jesus. 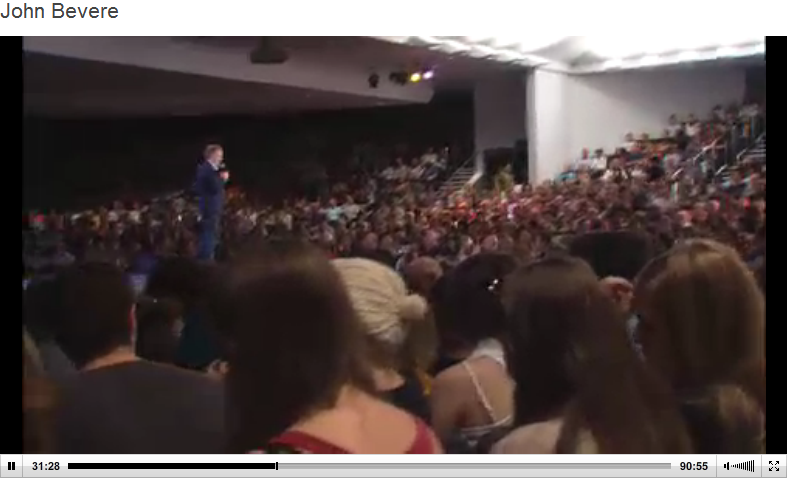 And how we treat John Bevere is we will be treating Jesus and treat our Father in heaven [pg. 141]. 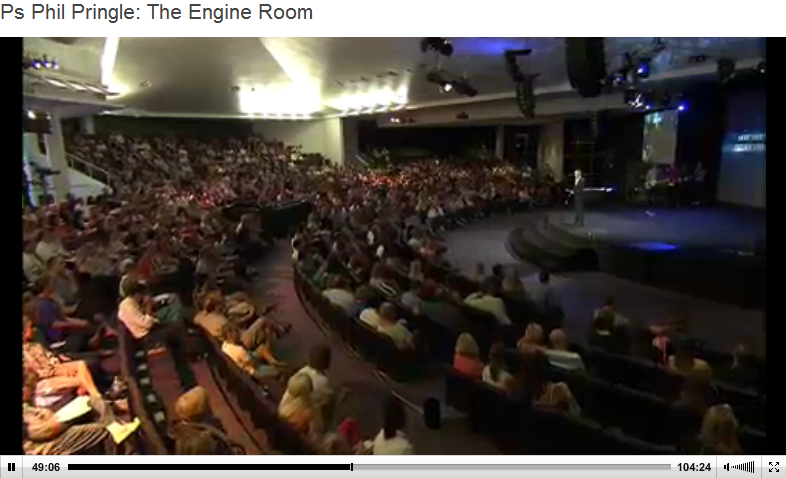 Bevere is elevating himself to be equal in ministry and teaching with the Apostles of Jesus. It’s odd that the Apostles never taught Bevere’s ‘honor principle’ anywhere in scripture – they seemed to focus their message on Jesus. 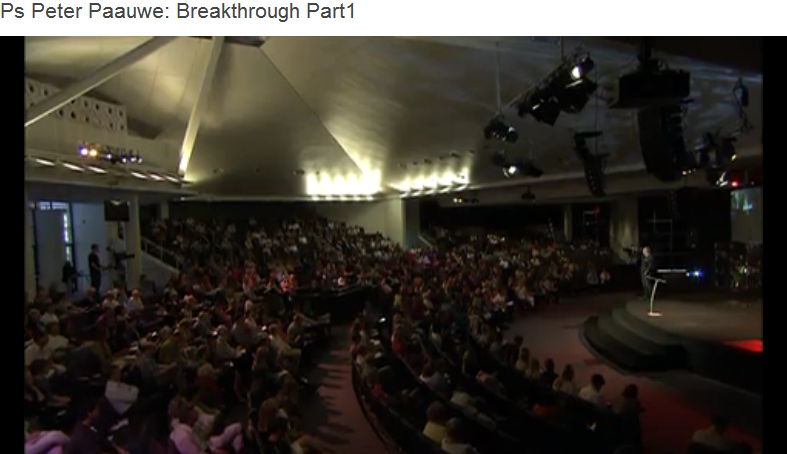 Bevere twists Paul’s words, abandoning the context of 1Cor 9:11,14. 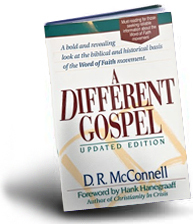 Bevere’s book is teaching Christians about the honor principle so that ministers like himself can gain from the gospel. 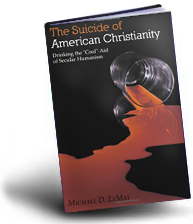 He is not preaching the gospel, in fact – watering it down with his made-up principle. Paul is asking for the church to reap just a little because of the work he has done in the churches of Corinth (a very rich city). He didn’t wish to do so because he wants to show that his motive was to receive man’s money, power, influence, fame, etc. He didn’t ask for money so that none could accuse him and the gospel he preached was for filthy lucre’s sake. I purposely put no burden on people to give, as he says in vs 17-18, “If I preach voluntarily, I have a reward; if not voluntarily, I am simply discharging the trust committed to me. What then is my reward? Just this: that in preaching the gospel I may offer it free of charge, and so not make full use of my rights as a preacher of the gospel.” Bevere is doing the opposite to Paul and is expecting to be honored financially as one sent by God. 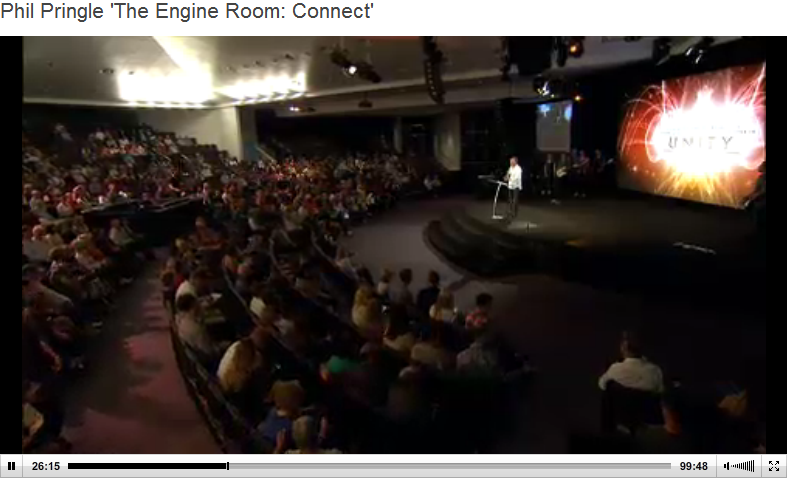 Bevere uses Philippians 4:15-16 (jumps 17) and vs 18. It’s a convenient verse for him to jump as he states he is unhappy when a church doesn’t offer him luxury or proper honour. Vs 17 has Paul say, “Not that I desire your gifts; what I desire is that more be credited to your account”. Gils commentary observes, “he [Paul] was fully satisfied and highly contented with what he had; he was not like the false teachers, that made merchandise of men; he sought not theirs, but them”. Considering that Paul would be happy sleeping in a car or a luxurious hotel, Bevere would only expect the ‘honor principle’ would work if a church supplied with luxuries so God could bless the church. 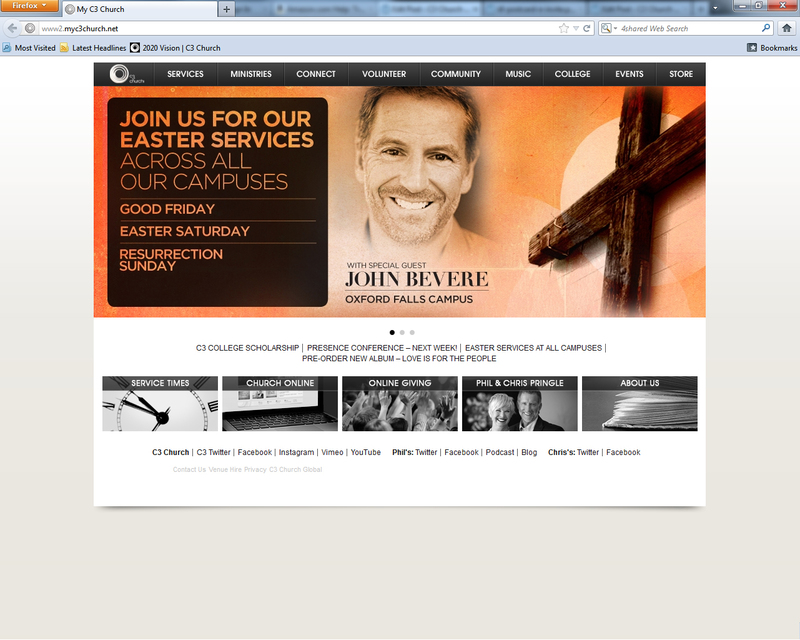 John Bevere uses Deut. 26:12 and Gal. 2:10 to suggest that his ‘honor principle’ is somehow imbedded in these verses and that money should be showered on ministers like Bevere so that people can be blessed back. These scriptures in context do not support his claims. Bevere teaches that Elijah and the widow lived by his newly discovered ‘honor principle’ in 1 Kings 17, which is not true. Bevere misuses Malachi 3:8,10 as most prosperity preachers like himself do. He reads things into scripture and adds to scripture what isn’t there (Proverbs 3:9-10). Bevere implies you can “buy the blessings of God” as “it is a spiritual principle God has weaved into His grace” using 2 Cor. 8:1-3. Paul is praising the Macedonians as being used BY the grace of God to not bless Paul’s own personal needs (8:20-21). It is by God’s grace he is using the Macedonians to help the church in Jerusalem- Paul and others being the instruments used to accomplish the collection for this cause. Here is the excerpt from John Bevere’s book ‘Honor’s Reward: How To Attract God’s Favor And Blessing’. In traveling and ministering in churches around the world, I’ve observed the results of ministry are vastly different in those that take care of our team with exceptional hospitality, and those who treat us as common travelers. When I’m introduced the people sit and stare at me with a disinterested look. You can almost hear their thoughts: We’ve heard them all, what do you have that is any different? As I speak I feel as if I am on trial. I come out of these meetings feeling worn out. I’ve spiritually plowed through the resistance the entire time, rather than being drawn from hungry hearts. Then the pastor will hand me an offering check so small that if his church received this amount every week they could not survive. I’m happy to report this doesn’t happen frequently. I recall one specific incident: I was asked to speak at a conference with another minister for an entire week. The pastor shared that they had taken in over two hundred and fifty thousand dollars for the meetings. I was very happy for them. However, when I left they handed me a six-hundred-dollar check for our ministry. Barely a tip, and not a good one either; just 10 percent would have been twenty-five thousand. So it was a little more than two-tenths of a percent (that’s 0.2 percent). I’ve seen the faithfulness of God to supply for us, and I’ve never lost and sleep over it. My grief is for those who gave the crumbs; they’ve missed out on an opportunity to receive a great reward by honoring the one Jesus sent them. On the flip side I’ve gone to meetings where from the moment I [pg. 139] was picked up at the airport until the time I was dropped off again, I was met with excitement and treated with extreme kindness and genuine hospitality. I arrive in my hotel room and am welcomed with a large basket of fruit, drinks, and snacks that I could feed on for a week. The church checked with our office for what types of foods I like to snack on. I’ve even arrived to find presents awaiting me in my hotel room, such as a candle, nice pen, shirt, or cologne. They put me in the nicest hotels in the area and make sure I have room service and other amenities that make living on the road more like home. Not only do they do this for me, but for my traveling assistants as well. When I step in the pulpits I’m greeted with the people standing and giving a loud applause. They are thankful to God for sending them one of His messengers, and are excitedly anticipating hearing the Word of God. They listen to the Word attentively; no one moves or talks during the service, because they don’t want to miss one point. They welcome the presence of God during ministry time, and finally rush our resource tables to glean more from the books and curriculums. These churches will talk with our office or me months and even years later and make comments like, “We turned the corner when you came,” or “Our staff and church has never been the same. It was as if we went up to another level.” I sometimes laugh inside, because maybe just the week prior I went to a church that treated us as common travelers. I ministered on the same subject and came with the same purpose, but the results were very small, and no comments were made after I left. It again shows it has nothing to do with me, but how I’m received. Jesus says, “He who receives you receives Me, and he who receives Me receives Him who sent Me.” How would you want Jesus cared for if He was the pastor of your church, or if He visited your church to minister on a certain weekend? The fact is, the way we [pg. 140] treat those He sends us is exactly how we treat Him, and it is exactly how we treat the Father. Let’s look again at the honor principle. God says, “Those who honor Me I will honor, and those who despise Me shall be lightly esteemed” (1 Sam. 2:30). We are told to honor God with our possessions. The Amplified Bible reads, “Honor the Lord with your capital and sufficiency [from righteous labors] and with the firstfruits of all your income.” The CEV reads, “Honor the LORD by giving him your money.” One way we honor God is by giving Him our money. My question is, how can we give Him money? He doesn’t use our currency. The answer is simple-in giving it to the one He sends you. If you study tithes and offerings carefully throughout the Bible you’ll find they are given for three main purposes. 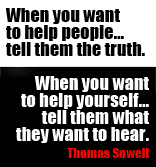 The first is to provide for the appointed servants who minister to us, and as we saw clearly earlier in this chapter, they are worthy of “double pay.” Secondly, to provide for the minister’s needs to do the work of the ministry; and third, so that they can help the poor, the widows, the orphans and the outsiders. I’d like to give you just one of the many scriptures relating to [pg. 141] each purpose. The first is seen in Paul’s words to the Corinthians: “If we have sown spiritual things for you, is it a great thing if we reap your material things? . . . Even so the Lord has commanded that those who preach the gospel should live from the gospel” (1 Cor. 9:11, 14). The NLT reads as follows: “The Lord gave orders that those who preach the Good News should be supported by those who benefit from it.” This principle is also seen in the Old Testament. The priests’ and Levites’ inheritances were to come from the tithes of the people. They were not given land to work as the other tribes. You can see their financial gifts enabled Paul to accomplish the work to which he was called. Simply put, it takes money to conduct a public ministry. In his own words, Paul was “amply supplied.” Through giving they entered into a partnership with him in reaching others. As for the third point, in the Old Testament God instructed that the tithe was to be given to the Levite (minister), stranger, fatherless, [pg. 142] and widow (see Deut. 26:12). In the New Testament the leaders all agreed: “They desired only that we should remember the poor, the very thing which I also was eager to do” (Gal. 2:10). The poor would include the stranger, orphan, and widow. By giving to ministers, we can help those in need we may never meet. How clear can it be? Suppose some of the people we admire in Scripture would have had the attitude many have today in regard to ministers talking about money in hard times. There were many widows who died in the days of Elijah during the great famine. However, one lived because of the honor principle. She and her son had only enough flour and oil to make a final meal; then they would both die. However, the prophet told her to make him a cake first. Wow, would he have gotten persecuted today, both in churches and by the media. Many would criticize, “How could you take anything from a poor woman who is about to suffer starvation? You should give it to her first.” However, the Word of the Lord instructed the prophet to tell her to put God first by feeding his servant; if she would honor him in this way, God would honor her. She did, and God did what He promised; her flour and oil never ran out the entire duration of the drought (see 1 Kings 17). If I had to make a choice, I would rather rob a bank than God Himself. Why? Because I fear God more than man. I’m so glad I don’t have to choose; I would never want to rob either. However, God says, “You have robbed Me!” Notice He didn’t say, “You’ve robbed My ministers!” No, we rob God by not tithing and giving offerings to His servants, because to withhold from the servants He sends us is to dishonor Him. Hear what He continues to say: “‘Bring all the tithes into the storehouse, that there may be food in My house, and try Me now in this,’ says the LORD of hosts, ‘If I will not open for you [pg. 144] the twindows of heaven and pour out for you such blessing that there will not be room enough to receive it,” (v.10). Your barns represent your storage places. That would be your checkbook, closets, gas tanks, garage, etc. This is where we store our containable commodities. So it is true, He blesses our finances. However, what is the blessing which we will not have room to receive? The answer is found as we continue to read: “your vats will overflow with new wine.” A vat is a large container used to store wine. Notice in this scripture, this is what cannot contain the blessing of God, for He states they will overflow. What does new wine represent? In the Bible new wine represents the fresh presence of the Holy Spirit. God is saying when you honor Him, by giving to church leaders-giving to their churches or ministries, you will receive the full reward of the overflow of His presence! That is the most exciting promise of all. Time and time again, I’ve witnessed those who are generous in [pg. 145] financially honoring their spiritual leaders are those who are blessed materially, and have enough to do every good work that comes before them. But it goes further. 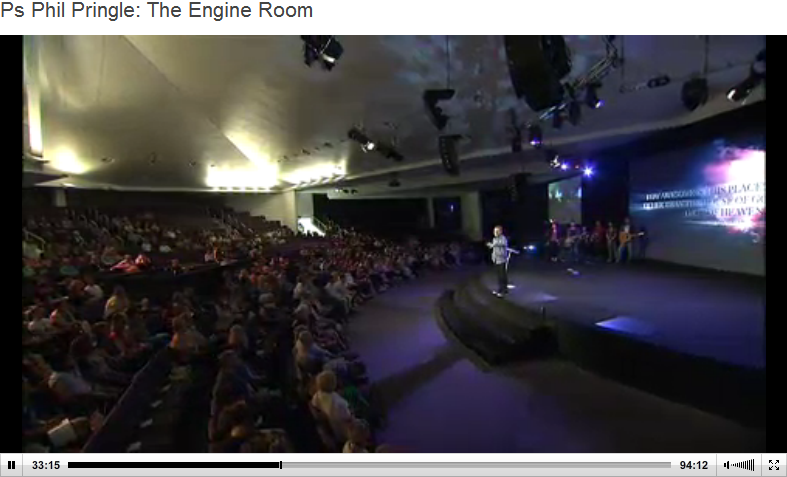 What I’ve also observed is they walk in an overflow of God’s presence. Why should this surprise us-it’s God’s promise? Understanding this truth answered my question of why I couldn’t sense a strong presence of God in meetings where honor was withheld-where the pastor was struggling, or where I’m treated like a common traveler. The people were not generous. However, once they became liberal and continued to do so, the presence of God was so much stronger in their church. If you take the truths of this chapter and read the entire Bible, you’ll notice whenever the people of God richly gave, miracles, freedom, salvations, God’s presence, and prosperity would abound. We cannot buy the blessings of God; however, it is a spiritual principle God has weaved into His grace. Hear what Paul said of the Macedonian believers: “And now, brothers, we want you to know about the grace that God has given the Macedonian churches. Out of the most severe trial, their overflowing joy and their extreme poverty welled up in rich generosity. For I testify that they gave as much as they were able, and even beyond their ability” (2Cor. 8:1-3, NIV). Paul attributed their generosity as a direct result of the grace of God. God’s grace gave them the capacity to go “beyond their ability.” Just as we can’t buy grace, we also can’t buy favor, but we certainly can position ourselves to receive it. By giving double financial honor to those who bring the Word of God to us, we position ourselves to be honored by God; included in that honor is grace and favor-it’s a spiritual law.” – John Bevere, Honor’s Reward: How To Attract God’s Favor And Blessing, 2007, pg. 138-146.